Press, turn and drink cool! 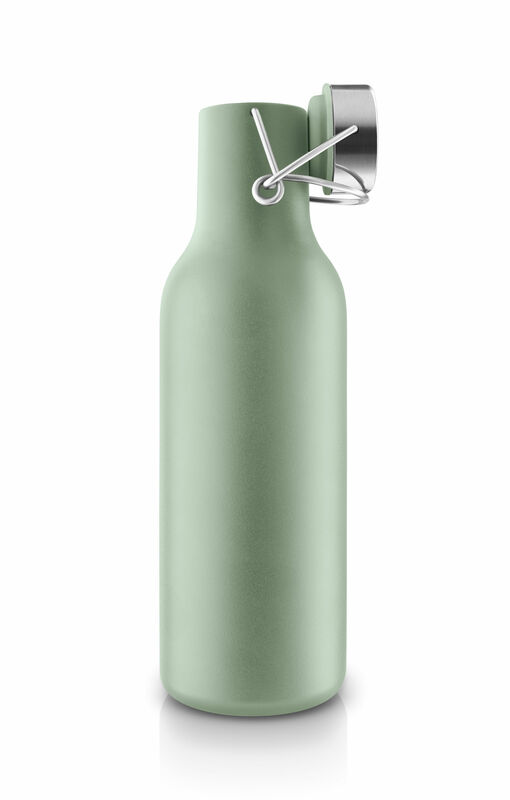 Cool is an insulated bottle that’s easy to use, carry and 100% waterproof. Its hermetic lid with metal clasp is ultra-convenient for use outside your home without worrying about losing the lid. Whether you're travelling to work, doing sport or off into town, its compact size makes it easy to slip into your bag and take everywhere with you. 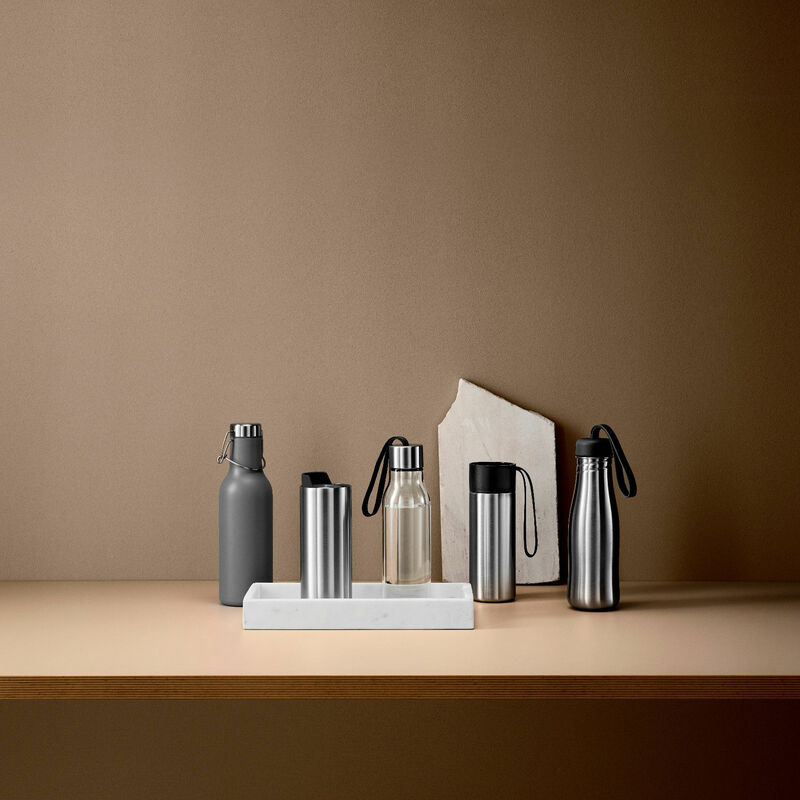 Neither too big nor too small, 0.7 L is the ideal capacity for all modern adventurers who want to enjoy a hot or cold drink at any time of day without taking up too much space. Its metal lid adds a nice touch of modernity to its classic, sober design. Very trendy, this insulated bottle comes in dark grey, eucalyptus green or pomegranate pink. 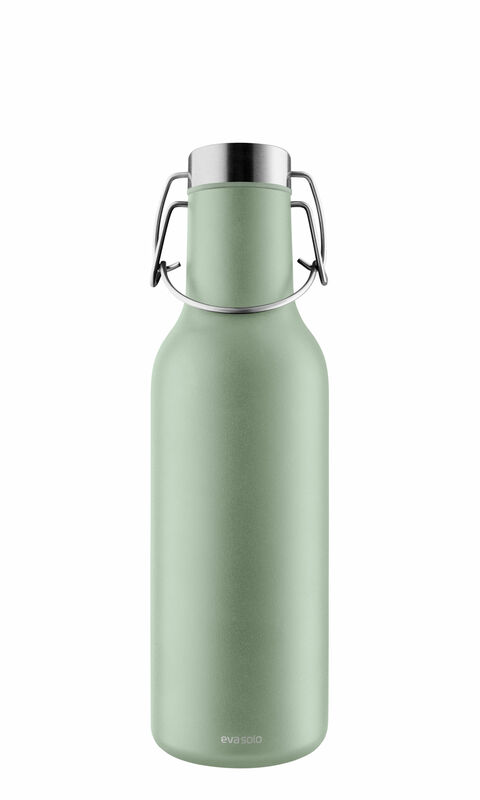 Thanks to its stainless steel vacuum-insulated double wall, this bottle keeps your drink hot for 6 hours or cool for 24 hours!